The Institute of Technical Sciences of SASA became a participant in Google’s Book Search Partner Programme in July 2009. The Google Books Partner Program is a free marketing program that enables publishers and authors to promote their books online, through Google Books. Google Book Search currently gives users the preview of 39 publications of the Institute. Thirty-seven of them can be fully browsed and/or downloaded and used in compliance with the Creative Commons: Attribution – Noncommercial – No Derivative Works 3.0 license. Due to the co-branded search functionality, the books can be searched directly from the Institute’s website. Sistem 50. – Beograd : Institut tehničkih nauka SANU, 1981. –  p. : illustr. ; 30 cm. Miscellany : dedicated to the 65th birthday of Academician professor dr. Nikola Hajdin. –Belgrade : Faculty of civil engineering : Institute of technical sciences of Serbian Academy of sciences and arts, 1988. – 316 p.,  plates : graphs, tables ; 24 cm. 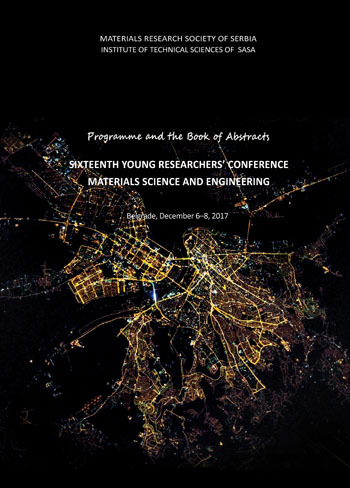 The Joint Event of the Eleventh Young Researchers' Conference Materials Science and Engineering and The First European Early Stage Researchers’ Conference on Hydrogen Storage, Belgrade, December 3rd-5th, 2012 : Program and the Book of Abstracts / edited by Jasmina Grbović Novaković and Nenad Ignjatović. 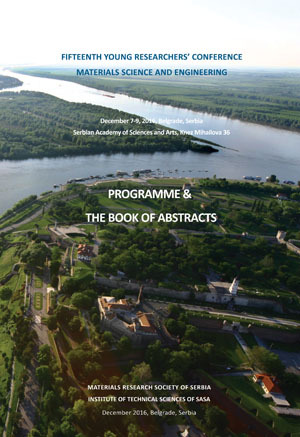 - Belgrade : Materials Research Society of Serbia, Institute of Technical Sciences of SASA, Vinča Institute of Technical Sciences, Hydrogen Storage Initiative Serbia, 2012 (Belgrade : Materials Research Society of Serbia). - 1 CD-ROM.